What is it about Christmas that makes us so desperate to go out and spend all our money on pointless rubbish that nobody really needs? Ok, perhaps it’s not all rubbish, but you get my point. Much of what we buy does unfortunately end up unused or in landfill, whether we like to admit it or not. We live on a finite planet with finite resources, but we seem to forget that this time of year, and become victims of the widespread phenomenon of obsessive compulsive buying. Gladly or reluctantly, organised or last-minute, buying stuff is what we do at Christmas. The real cost of our unsustainable consumption habits doesn’t show up on our bank statement because it is paid for by all of us, it is paid for by our planet. That cotton t-shirt someone just bought took 2,700 litres of water to produce. That’s water for one person for 2,5 years! If we add the land, water and air pollution from the conventional cotton fields, the declining health of the cotton farmers, wildlife and insects on and around the field, the cheap labour, the polyester tags, plastic packaging and excessive transport distances, do you think the real cost is reflected in the price of that t-shirt? Hardly. When I think about my childhood, Christmas was never about the gifts. It was about putting up the first Christmas lights in November, the scent of mulled wine and ginger bread baking in the kitchen. It was about family and friends coming together, being together. Thats why I haven’t bought a Christmas present for years, and why I choose to give my time, presence and energy instead. Thats why I have chosen to make things, experience things together, and give something that doesn’t cost the earth. No, I don’t want a t-shirt or a necklace for Christmas, I want a revolution! A revolution away from this throw away culture, a revolution towards a kinder and more peaceful world. Children don’t care about presents, they want our presence. 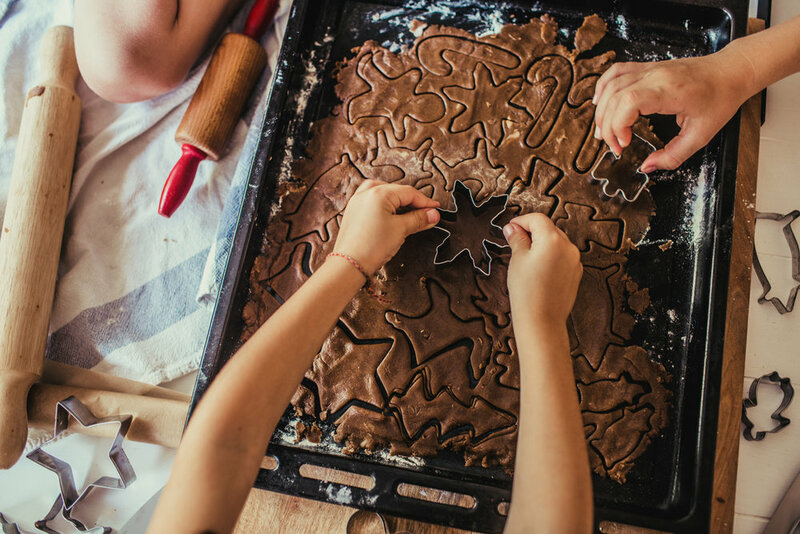 It is moments like these that make up our favourite childhood memories, and our best homemade gifts! Scroll down for recipes. Mix the sugar, syrup and water in a saucepan. Heat up. Add the vegan butter let it melt. Add spices. Let the mixture cool. Mix the bicarb sida and some of the flour into the mixture. Add the rest of the flour and make into a smooth dough. Put bowl in an airtight container. Let rest in fridge overnight. Work the dough smooth on a floury table. Roll the dough out thin and use shapes to make the cookies. Put the cookies on baking paper or greased tray. Bake in the middle of the oven for 6-8 minutes. Let the ginger snaps cool on the tray. Store in tin box at room temperature or in freezer. Simmer wine with spices on low heat. Stir with wooden spoon and watch closely so it doesn’t boil for roughly 20 minutes (boiling removes the alcohol and makes the drink alcohol free). 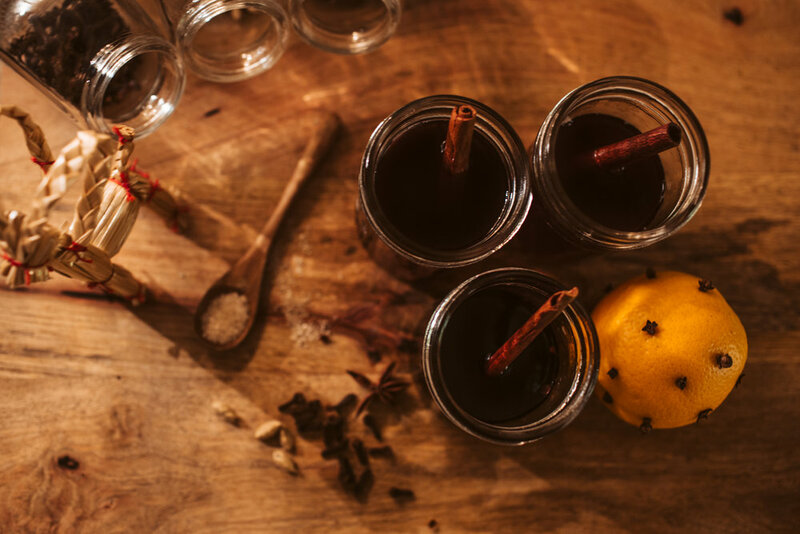 Serve hot with chopped almonds and raisins or let cool and pour back into bottle (remove wine label and make your own and give as a gift, leave a few cloves and the cinnamon stick in the bottle).